She is a woman of strong charisma and presence. Her strong features have withstood the test of time and she bears a head full of pristine white hair. The curve of her face has been faded with age but this has done nothing to temper the keen blue of her eyes. Her cheeks still hold rather defined dimples and wrinkles have been kept to a minimum. Her clothes are more for comfort than fashion leaning towards the colors of House Florent. The dress she wears is in a full long sleeve with a cream colored wrap that rises above her head to rest just at the crown. Born in 65 A.C. Married Otto Hightower (b. 64) when she was 16. They had their first son Otho III in 84. Barris II was born in 86 and was given to the church at his own behest at a very young age. Next, they had their first girl, Alicent, she was born in 88 and at 18 would become Queen! After Alicent in 90 A.C. came their last child, a son, Gwayne. He is the Lord Commander of The Watch in Oldtown with an aim to become the same in King's Landing. Otto is sure he'll prove himself sooner than later and the transfer will be smooth. 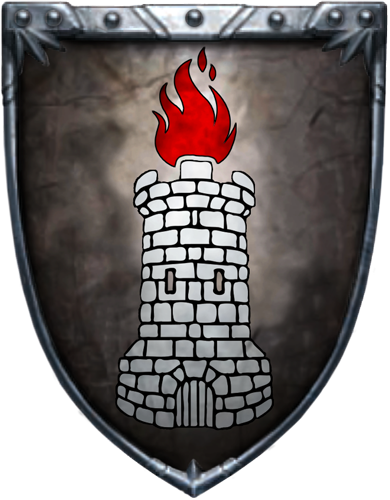 The eldest son of Otto's older brother Marak, Ormund Hightower, is the Lord of Oldtown and the Head of House Hightower. Arenna often goes by Arenna Florent still, that is how strongly she feels she's tied to her maiden house. It has been a slow and long plan but Arenna has every intention of using her place of power as the mother of the Queen and the wife of the Hand of the King to for once and for all give Florent's their rights to Highgarden. Her husband is a man of his word with no future thoughts. She cares for him well enough but she has more things of import seen done now that Alicent is Queen. Arenna is proud of her son. There is not greater man to carry the word of the Seven. Through her daughter House Florent will be given their due. Ormund is a good hearted man but it is also weak and has led him astray. Florent: It may be her maiden house but she will never stop seeking its prosperity. Mother of the Queen: This should give her some sway. Loyal: Arenna is without question - loyal. But to who? Focused: She can be far to focused on one task.